Landstar’s innovative mode of operation enables thousands of drivers and operators turn their dreams of owning their own trucking business into a reality. Landstar helps owner operators who are looking for a new home or company drivers looking to become their own CEO on wheels. Landstar made the Top 20 2012 Best Fleets to Drive For by providing an outstanding work environment for drivers and owner operators. Combine this with the personalized support of one of the top Landstar agencies (DUV/RKY Agency), and drivers across the country are afforded the opportunity to run a successful and profitable business. Unlike other owner-operators, Landstar BCOs (Business Capacity Owners) receive a percentage of the revenue paid for each load they haul. 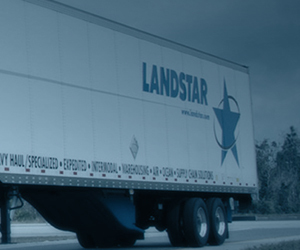 With non-forced dispatch, Landstar BCOs enjoy the freedom to choose their own freight, run where they want to go, and when they want to go there. Landstar has thousands of loads to choose from at any given time with driving opportunities for van, flatbed, specialized freight and heavy haul. Drivers are given the tools, technology and training to move their independent business forward with minimal upfront costs. Learn more about becoming a Landstar BCO or fill out our short application today! Landstar family, the views on this and the following pages are solely the views of the writers at DUV.